Milk was first delivered in glass bottles on January 11, 1878. What an amazing convenience that must have been in the days when home refrigeration as we know it was not an option. Both the delivery service and the convenient packaging made life easier, while creating new business opportunities for cattle farmers and glassmakers. 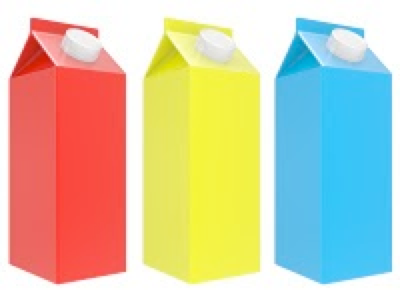 Today I learned that aseptic milk cartons (invented by Tetra-Pak), which are shelf-stable and do not require refrigeration, have long ago overtaken the old-fashioned glass bottle and, as Web Packaging describes it: "As a result, the aseptic carton, which predominates in Europe and Asia, has also made the refrigerated carton an afterthought in most of the world." The importance of this aseptic milk carton cannot be understated, as it allows people in developing countries to have easy, safe, convenient sustenance in the form of milk that keeps for months without refrigeration. We've mentioned here before that packaging can solve the world's hunger problem - this is clearly a step in the right direction.